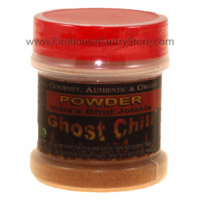 Product Details: The Ghost Pepper (previously known as the Bhut Jolokia Chile) so named for its ghostly bite, was not long ago the hottest chile pepper in the world. It's twice as hot as the Red Savina Habanero. 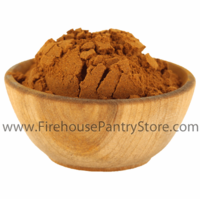 Our pepper powder is pure and uncut, made from 100% smoke-dried ghost chilis. 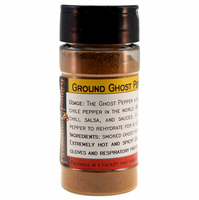 Ingredients: ground ghost pepper. An all natural ingredient. Packaged in a facility that also handles wheat, milk, soy, egg, sesame, peanuts, and tree nuts.